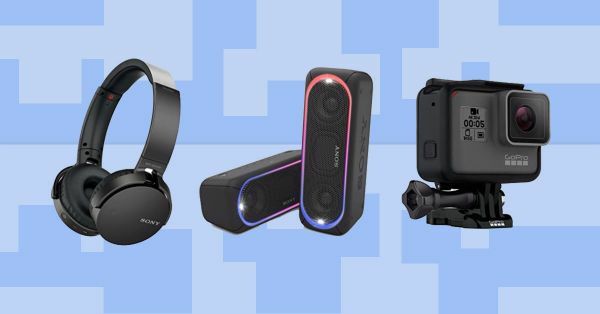 10 Super Cool Tech Gifts Your Boyfriend Secretly Wants! It’s a universally accepted fact that men love their gadgets! If your boyfriend is obsessed with them too, you really need to gift him the best gifts that are out there because he deserves them! Let’s be honest, these gifts are just another way for you two to bond! Here are 10 awesome tech gifts that he’ll cherish forever! OnePlus 5 has to be one of the best phones in the market right now! Boasting of features like Full HD display, 6GB RAM, 20MP camera and dash charging, it is a must have phone this season! Virtual reality is the latest craze! Daydream view will help him experience everything as if it’s happening in real time in front of him. With this, he can teleport to anywhere anytime he wants! If your boyfriend is a proud iPhone owner, the Apple SmartWatch is a must have for him! Not only can this one be used for normal features but it can also be used as a fitness tracker. He can even leave his phone at home when going for a run or a workout. Perfect for the fitness freak! This convertible laptop from Lenovo has 360 degree hinge. It can be used as a tab, considering it has a touchscreen, when on the go and as a laptop when on the desk. Works best for the boyfriend who is always moving! You know those times when you want to just tune the world out? Yeah, these wireless headphones are perfect for those times! With a battery backup better than most of the others in the market, you can connect it to your phone without worrying about those tangled wires! This tiny little camera is the answer to all his photography needs. It is rugged and waterproof and comes with a lot of shooting modes to deliver perfect videos or pictures. Perfect for vacations or adventure sports! Most of us are plagued by back pain due to constant staring at our laptop screens and bad posture. This laptop stand can adjust the height for a more comfortable viewing with just a touch. He and his back will love you for it! These speakers are perfect for parties and since they are waterproof, they can be used (and easily carried around) for pool parties as well! The speakers are built for EDM lovers with the addition of some Extra Bass to the mix. If he is a gamer and still doesn’t have this PS4, you need to gift it to him now! He’ll love it so much because this really is the best gaming console out there right now! Boyfriends are so completely attached to their grooming kits! So this one from Philips is perfect for him since it's a one-stop solution for all his grooming needs with the multiple detachable heads. What are you buying for him today?